Developer(s): Namco Bandai Games Inc. Description: Prequel to Ace Combat 5. Box Text: The Skies Have No Mercy. Defend the country of Ustio against an enemy that is smarter, faster, and deadlier than any that have come before. 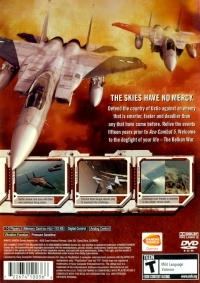 Relive the events fifteen years prior to Ace Combat 5. Welcome to the dogfight of your life - The Belkan War. 09-08-2016 telly Box Text The Skies Have No Mercy. Defend the country of Ustio against an enemy that is smarter, faster, and deadlier than any that have come before. Relive the events fifteen years prior to Ace Combat 5. Welcome to the dogfight of your life - The Belkan War. 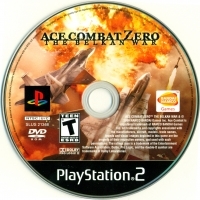 This is a list of VGCollect users who have Ace Combat Zero: The Belkan War in their Collection. This is a list of VGCollect users who have Ace Combat Zero: The Belkan War in their Sell List. 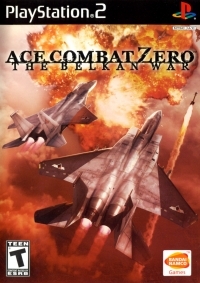 This is a list of VGCollect users who have Ace Combat Zero: The Belkan War in their Wish List.